Tons of new gear updates from nearly everyone at the Miami International Boat Show. All capped off with the BWI awards and a look to the future, which of course means... drones. "Black is the new gray," say the folks at Raymarine, and so it is with the three new CPx70 sonar modules which were introduced in Miami. 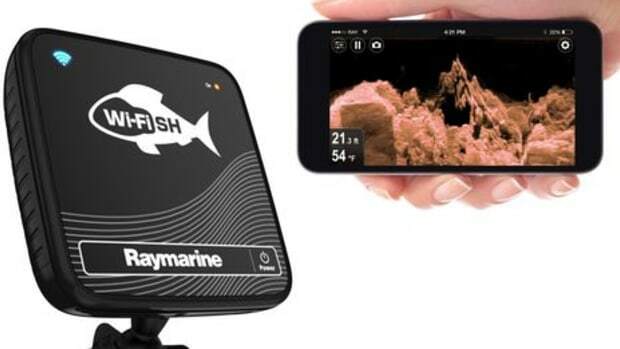 They&apos;ll replace the existing blackbox fishfinders but not the CP100 and 200 CHIRP Down-or-Side-Vision and sonar combos designed for shallower depths and structure imaging. So the 600-foot-max-depth CP100 also installed on the demo boat above highlights by contrast the beefiness of the CP370 model, which is actually the bottom of the new line with its traditional dual 50KHz and 200 KHz fixed frequencies, 1,000W of power and purported depth range of 5,000 feet. The performance enhancements seem subtle but multiple. The demo ride was rough and the CP370 firmware not yet completely dialed in, but I learned that besides the sharp industrial design, the new fishfinders will be better at discriminating targets and holding bottom in tough conditions while also offering improved controls. Manual gain, for instance, will become auto gain with a manual plus or minus factor. In other words, when you go into manual mode, you don&apos;t just turn the auto algorithms completely off, but work with them. This is actually already done by at least one competitor, Navico, but that doesn&apos;t make it a bad idea for Ray users. Meanwhile, the often confusing TVG control - explained well on the Ray tech forum -- will be eliminated (automated) and there are numerous other interface improvements that will hopefully be illustrated in coming Ray videos. In fact, Raymarine&apos;s techy U.S. marketing manager, Jim McGowan, brought along a video tool that seems worth a side note to the industry. 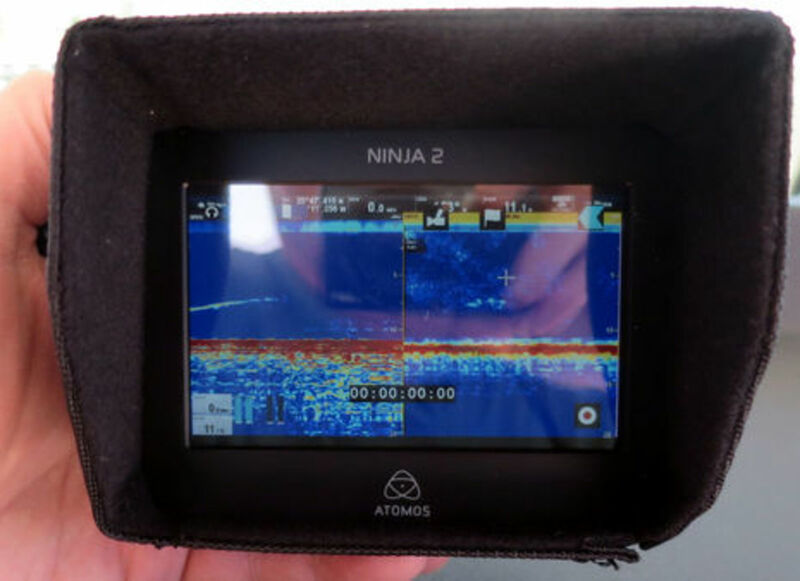 The completely self-contained Atomos Ninja 2 can record professional level video from any HDMI source, like the one on the back of Raymarine gS Series MFDs. I believe that McGowan also has experience creating training aids, and I&apos;m hopeful he&apos;ll find the time to produce some videos that walk through subjects like the new CPx70 user interface. Please show us all how it&apos;s done, Jim, and I&apos;ll post links! 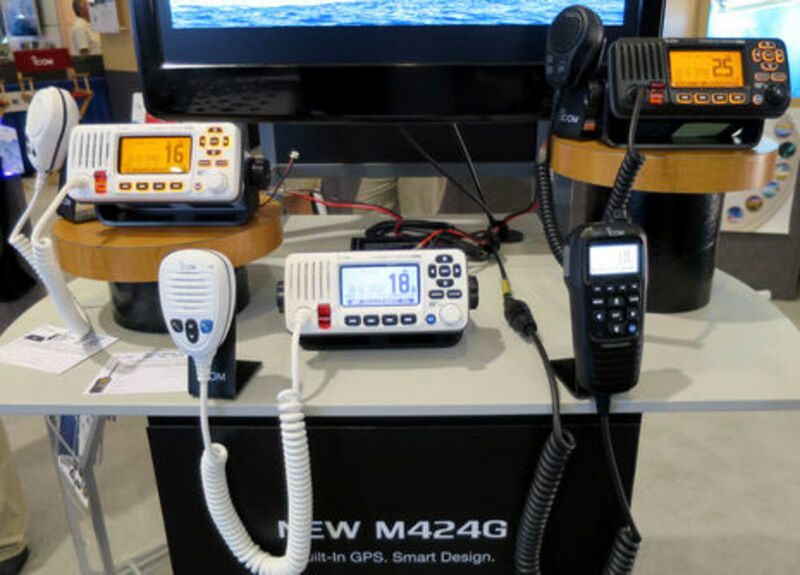 Incidentally, the CP370 will be MFD compatible all the way back to the E-Classic series, while the CP470 and CP570 will provide high-power multi-channel CHIRP fishfinding to a-, c, e-, and gS series displays. 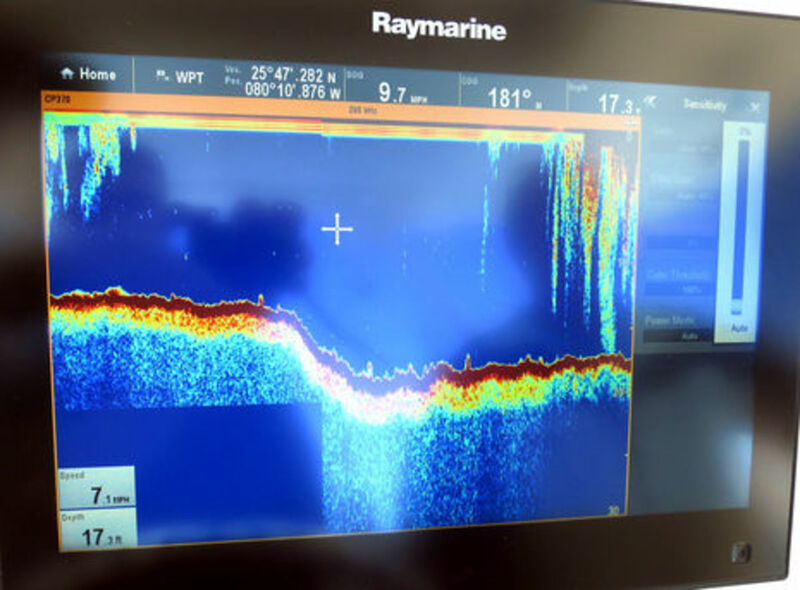 I&apos;ve already mentioned C-Map&apos;s delight about Raymarine&apos;s new support for its 4D chart packages, and here are some photographic attempts at showing how good it looks. 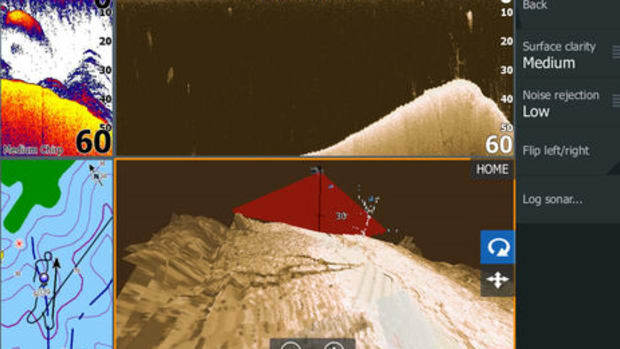 Available are three levels of C-Map 4D, starting with the stripped down Essentials subset that comes bundled with many new Raymarine MFDs, then 4D-Max with many added features (especially for fishermen), and finally, C-Map 4D-Max+ which includes complete paper-like raster chart coverage in addition to the 4D vector charts. Thus, a 4D-Max+ card that covers the Bahamas includes the original Explorer Charts and coverage of most foreign coasts includes the official hydrographic office paper charts. 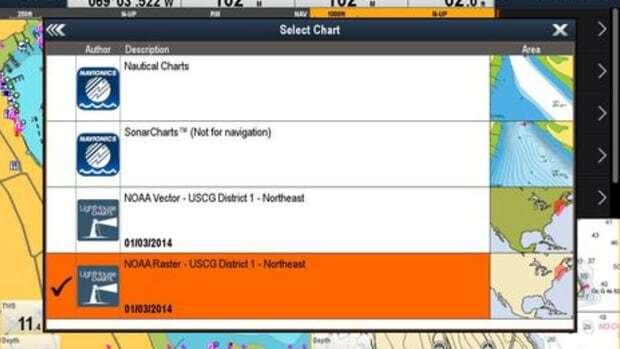 I think that Raymarine&apos;s presentation of C-Map 4D vector charts looked good, too, and the Lighthouse II Release 13 update adds a nice chart interface feature called "hot-spotting" that gives you basic info on any chart object you tap, plus lets you move that query spot around the chart, all before you dig deeper into a big dialog box of possible commands and more info. I believe this works with all three vector chart formats Raymarine now supports, as well as C-Map 4D rasters because they are integrated with 4D vectors behind the scenes. 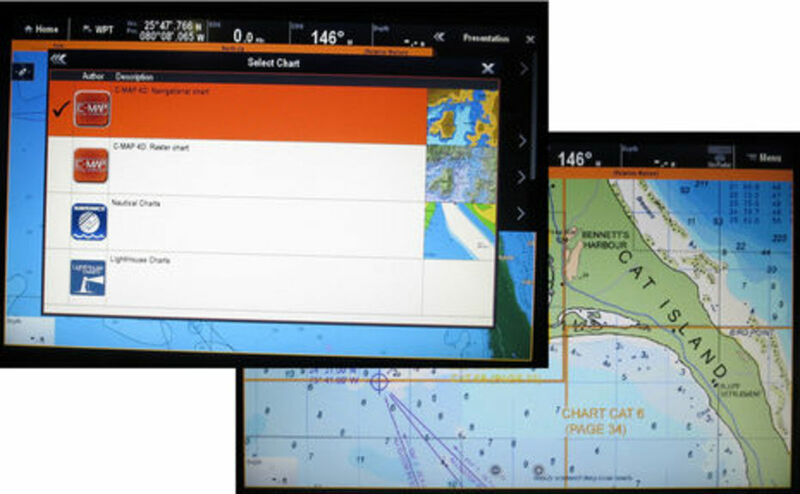 Lighthouse 13 also brings C-Map compatibility to all existing a-, c-, e- and gS Series MFDs, and I understand that there will soon be a Raymarine online chart store that will make it easy to understand all the choices and pricing. 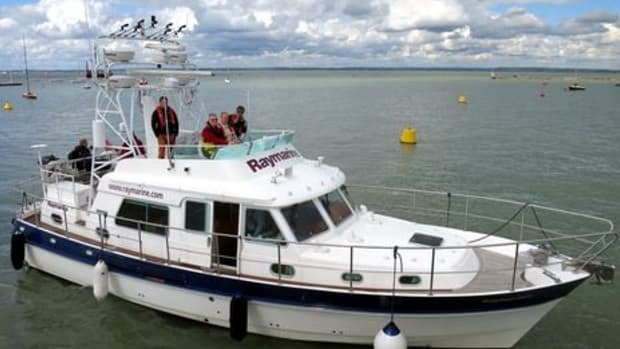 Raymarine&apos;s relatively new -- and black! -- Ray50, 60 and 70 VHF radios are still not shipping, but the interfaces are certainly looking more finished than they did in Fort Lauderdale. 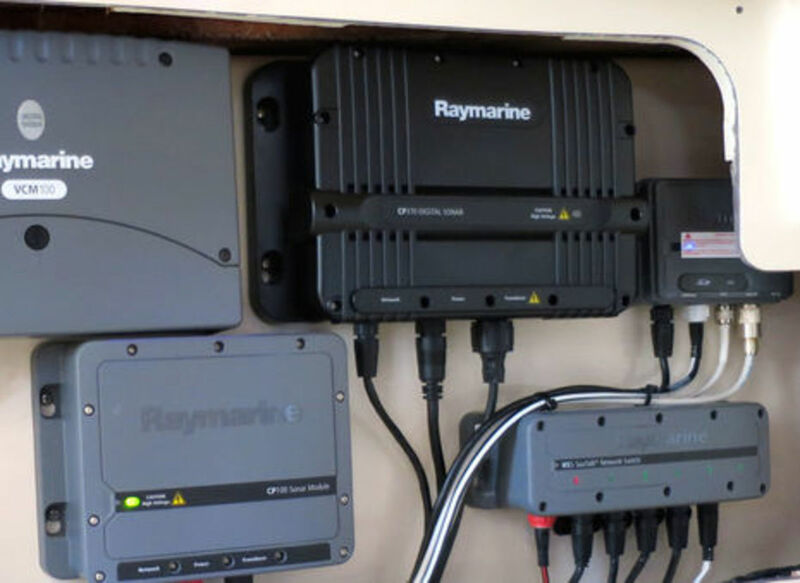 The Ray70 seems particularly noteworthy, as I think it&apos;s first to combine all the features -- NMEA 2000 support, built-in AIS receiver and built-in GPS -- that may be needed to maximize the safety potential of DSC on many boats. However, I&apos;m learning to be a little skeptical about the ability of big manufacturers to get VHF detail right -- the prime example being the Simrad RS35&apos;s early bugs, and the fact that it still hasn&apos;t been updated so it can place direct calls to AIS targets it sees with its own receiver. 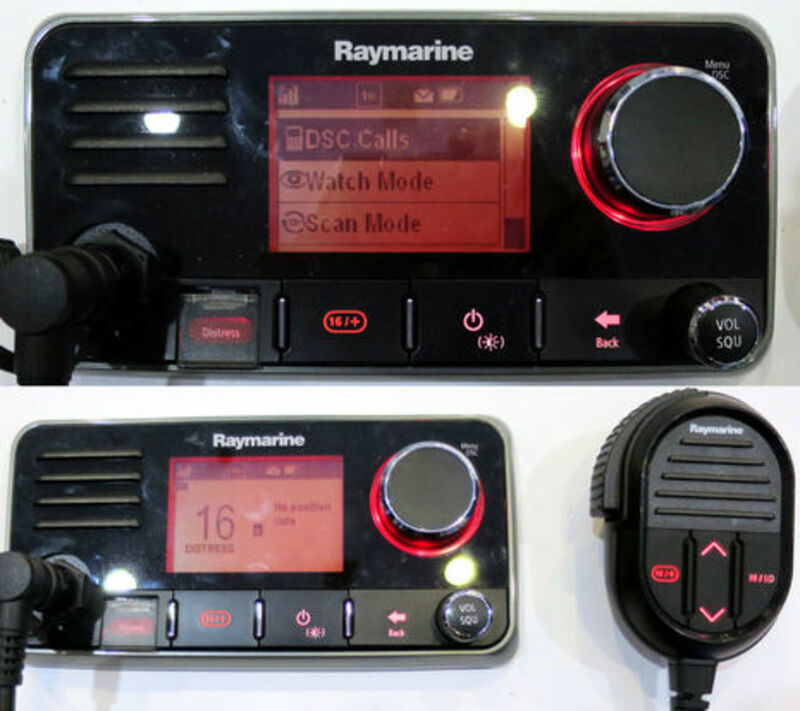 As for Ray70 first impressions, the big push-to-select knob may run the iconed menu system almost as well as the soft key approach favored by the major VHF developers, but let&apos;s hope they beef up that channel number font so even us old-eyes can read it across a pilothouse. Note, for instance, the highly readable channel numbers on the new Icom M424G with its built-in GPS, white backlit LCD screen and optional matching CommandMic. I covered the M424G in January along with sister M324G when their (very) slightly different European cousins came out. 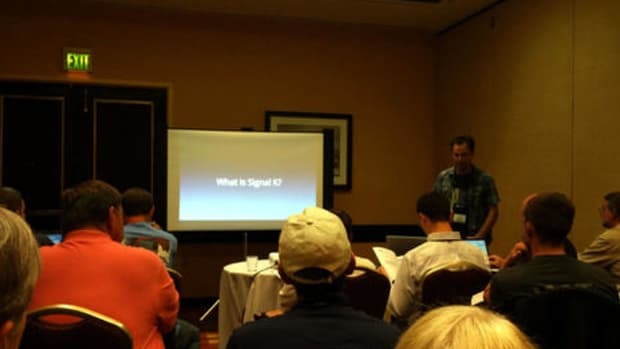 But Icom America also had some interesting possible news about the future; absolutely no promises were made, nor dates set, but they do now think it&apos;s possible to build a combination VHF radio and Class B AIS transponder that could be approved by the authorities. Navico was understandably quiet, having just shown boating writers many new developments like GoFree MFD online in January. But then again, Navico&apos;s product development is relentless, and thus they were able to impress mightily with Lowrance MotorGuide trolling motor control off Hawk&apos;s Cay without even mentioning the related Power-Pole control they showed in Miami. 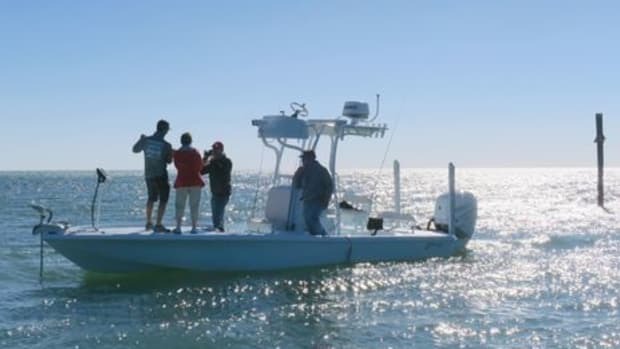 Power-Poles are the hydraulic shallow water anchoring systems that you often see now on serious fishing boats in the Keys, Carolinas, and the like; plus, they&apos;re sometimes suited to fishing kayak setups like the Miami demo. In all cases the fishermen have lots to do with their hands besides grabbing another wireless remote control, which is why alternate control on the MFD screen may be very welcome. 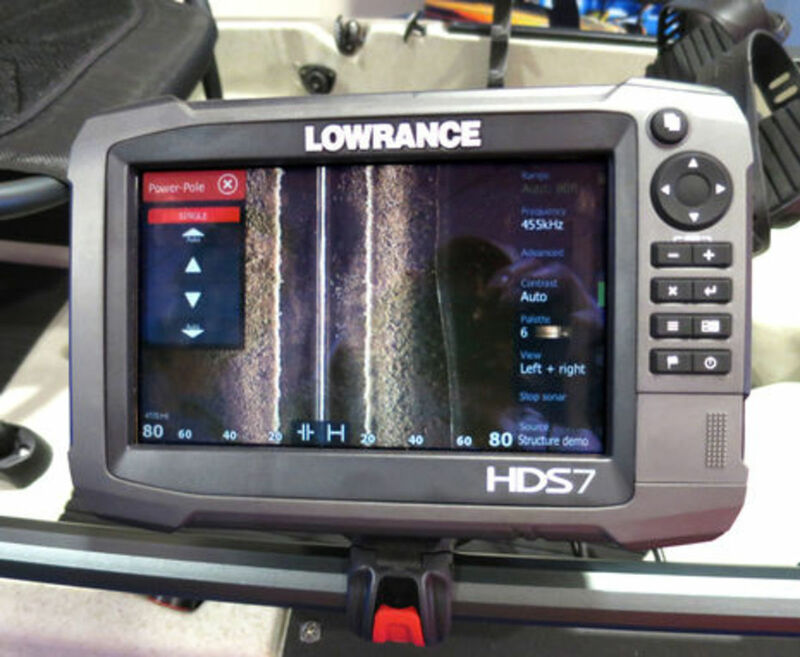 I think that only Lowrance&apos;s new HDS Gen3 models can support Power-Pole control -- and it will only take a software update -- because it&apos;s the first HDS with Bluetooth (and Wi-Fi) built in. In Hawk&apos;s Cay I saw B&G advancements I can&apos;t talk about yet, but in Miami I learned about the system integrations on the Volvo Ocean Race one-designs at a press conference that included a Q&A Inmarsat call with Alvimedica skipper Charlie Enright while he was sailing hard on a South Pacific breeze. 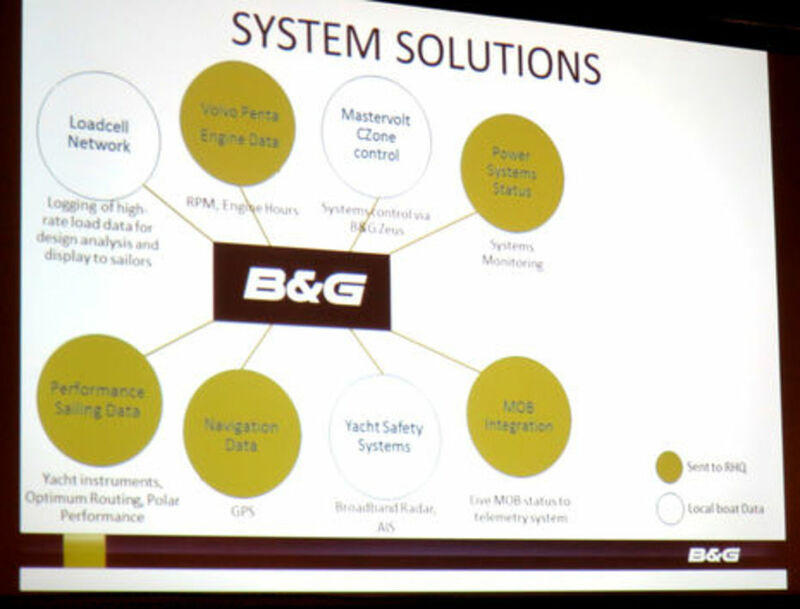 The navigation, safety, communications and power systems deserve a whole entry and will get one, but this slide suggests the mass of data being displayed on the B&G systems, including about 150 elements that are also streamed up to the Race HQ. Did you see that all six active one-designs are within less than 20 miles Distance to Finish (Auckland) after more than two weeks of racing? 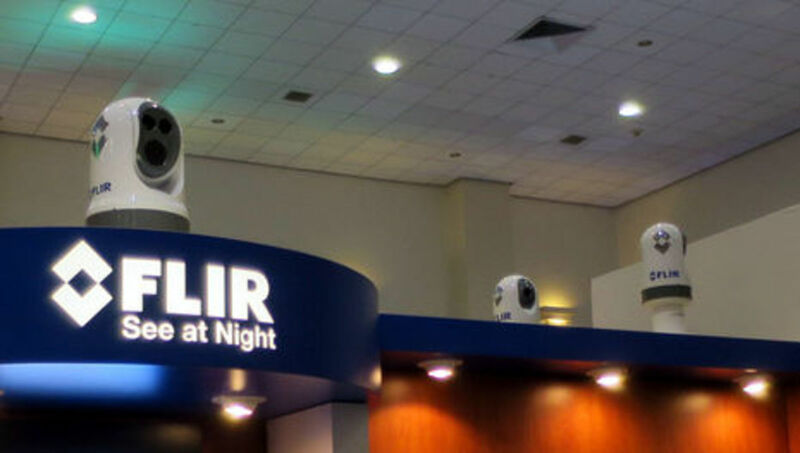 A separate entry will also detail FLIR&apos;s new Ocean Scout handheld thermal camera and high-end M400 "Multi-Sensor Marine Thermal Night Vision" device. The M400 has the sleek and tilt/pan efficient design of the familiar M-Series but it&apos;s significantly bigger, as seen in this booth top picture, and it&apos;s loaded with new features. 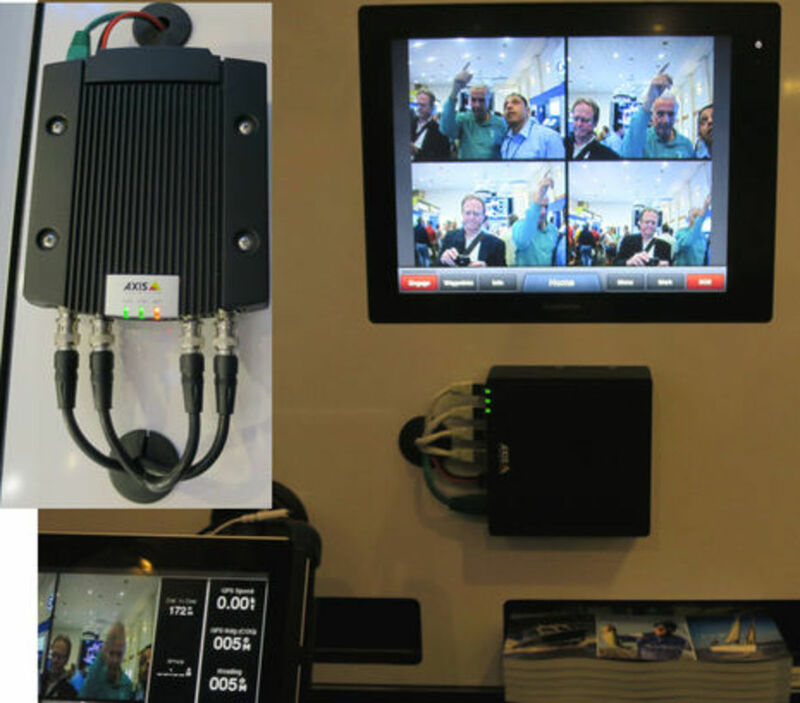 Speaking of cameras, Garmin was showing off support for multiple Axis Network (IP) cams as well as analog-to-IP encoders at their booth, though to my knowledge nothing has been announced yet. 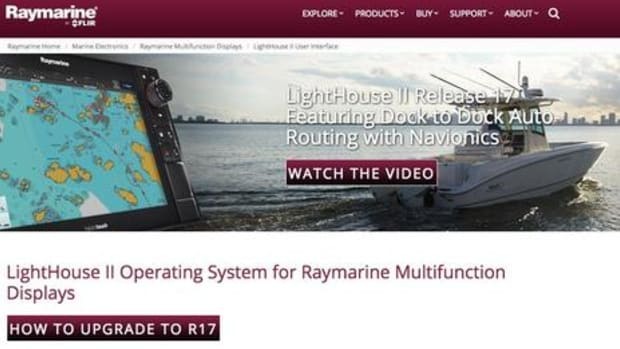 Obviously a quad view is planned -- perhaps like what Raymarine showed in Lauderdale with their own IP camera, or what Furuno NavNet has long done with Axis cams -- but I&apos;m sure we&apos;ll hear more when Garmin is ready. 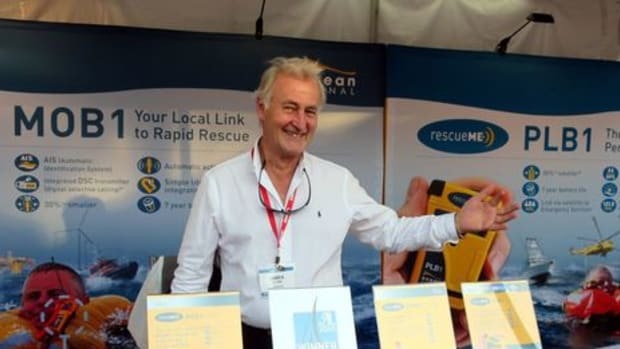 Incidentally, the remarkable IC360 cam also mentioned that Lauderdale entry will be offered by KEP Marine, who seem quite happy about their recent acquisition by the resource-rich Sparton corporation. Something different was getting to see a Blue Sea PowerBar 1000 and several other new products while sipping wine in a dimly lit tapas lounge. But it worked; what a hefty busbar for our boats&apos; expanding power complexities, and what a good chance to ask Blue Sea management about theirrecent acquisition by Power Products, LLC. The main question is how do Blue Sea power products -- beloved by many installers and DIYers I know -- get blended with the coming-on-strong Marinco BEP line. 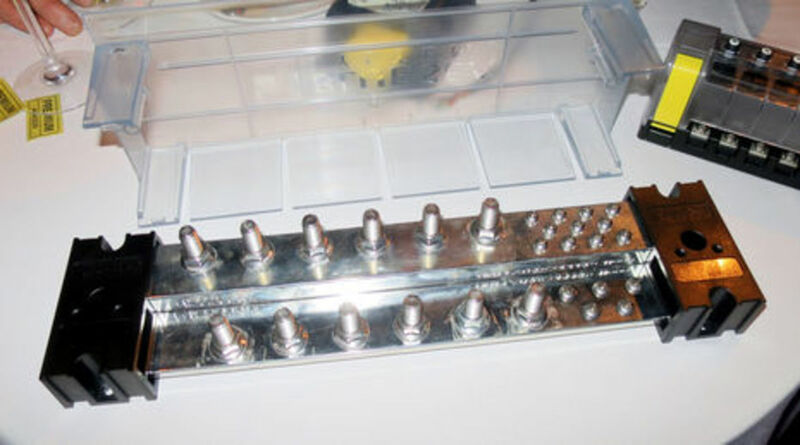 There are many overlaps, like the IBEX prize-winning Pro Installer busbars. But this is a good problem for a power conglomerate to have, and the short answer was a grinning and slowly spoken "c a r e f u l l y!" I suspect that we&apos;ll have both brands around for quite a while though specialties may get assigned much like BEP CZone and Mastervolt have nicely rationalized their overlaps and integrated with each other in the process. 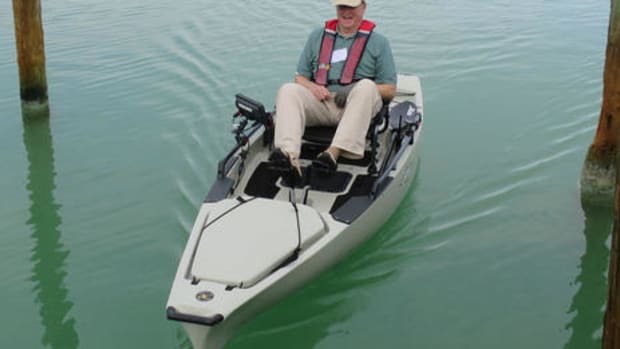 Finally, the subject of the Boating Writers International annual meeting -- besides prizes, including a Panbo Second for Online Expressions -- was drones. They obviously have huge potential for boat photography but the technical and regulatory complications are many. 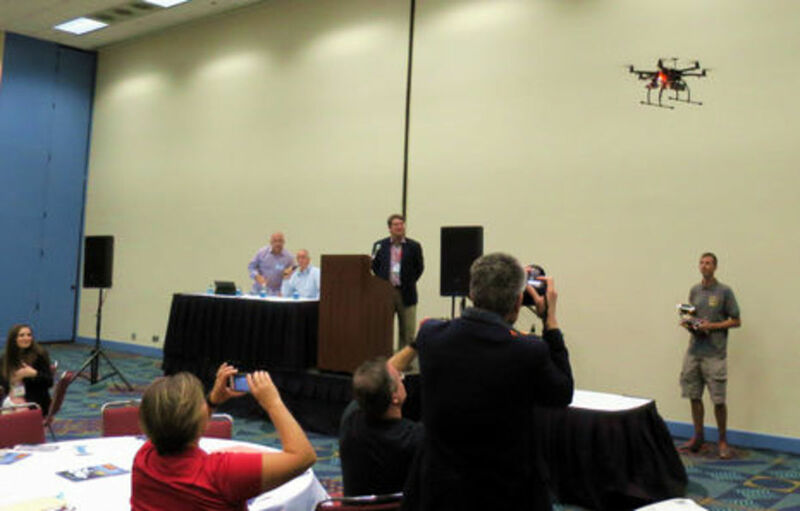 All were discussed, so I better understood the proposed FAA regulations that came out just two days later, but the real excitement was watching Miami Aerial&apos;s Hagen Rottke demo the smaller of two drones he built and regularly pilots. When it blew all the papers off a table near me, the seriousness of this tech got real. 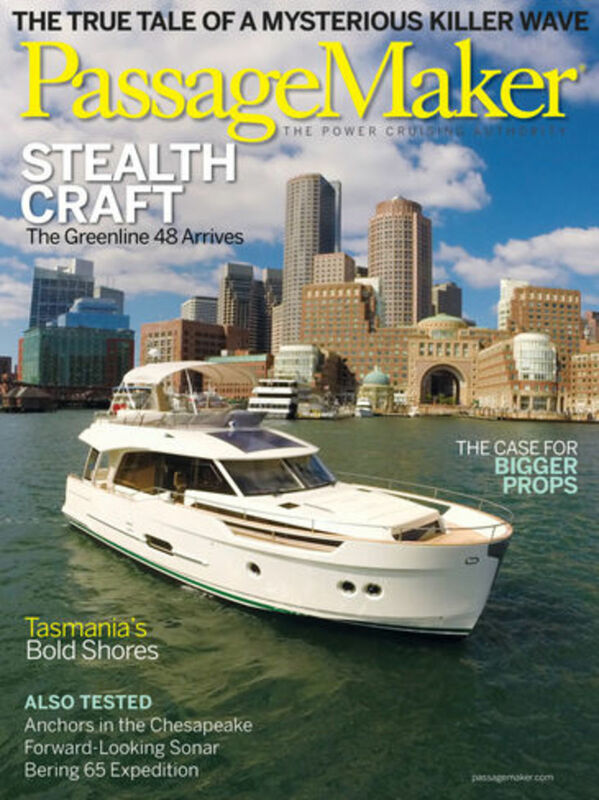 At any rate, I was pleased that so many of my AIM colleagues were honored at BWI and also that PassageMaker at least thinks it published the first boating magazine cover shot (legally) by a drone, interesting details here and more Greenline 48 drone shots here.